Here are the list of biggest and largest Upcoming Technology and Academic conference happening across globe encapsulating the most critical, concrete and volatile topics the world is facing. 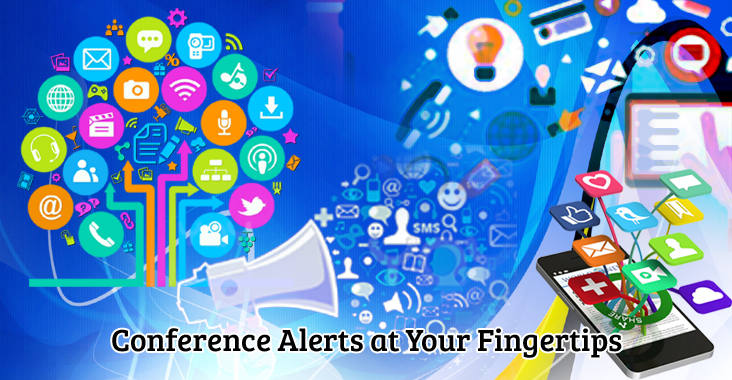 With the list of upcoming Conference alerts for 2017 and 2018, all the largest Upcoming conferences are included. This conference revolves around providing a stage to the researchers and experts from both academia as well as industry to gather the share cutting-edge growth in the field. The main focal point of this conference is to emphasis on the recent and different things in IOT. This conference is one of the most dominant upcoming Technology conferences in 2017. Date: 24- 25th June, 2017. Focussing on the recent trends in Digital Information Processing Data Mining and Wireless Communications, this upcoming conference revolves around strengthening the focal point of Digital Information Processing. This international conference which is the union of all the researchers and scientists from the different domains of Computer Science and Engineering will enlighten on the variant upcoming trends. Date: 30 September to 1st October, 2017. This Upcoming Conference in India is mainly biased on the recent emerging trends and their impact on Engineering, Science and Technology. The speakers would probably talk on the impact, advanced trends and areas of improvement. The goal of the Conference is to offer a platform to the researchers and specialists from both academia as well as industry to assemble the share cutting-edge development in the field of AI. The objective of this Malaysia Conference is to intersect the different innovation in the field of Management and Industrial Engineering. This upcoming conference is focussed on different areas of Networking, communication and Computing. Signal processing, the different parameters that can be worked on, and the Big Data Analysis are what this upcoming conference is focussed on. Date: 16th– 17th December, 2017.